Madagascar is an isolated island characterized by a high degree of endemism at all taxonomic levels. 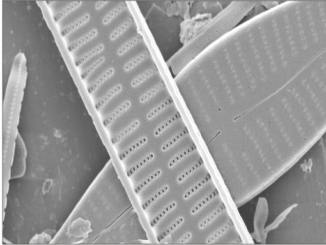 Diatom assemblages of the region are still poorly known and sporadic sampling events in various habitats (e.g. 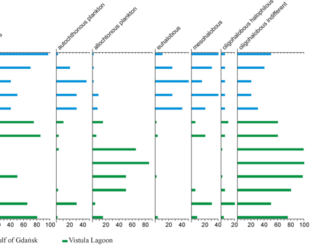 lagoons, mangroves) have revealed a large number of taxa that could not be identified. 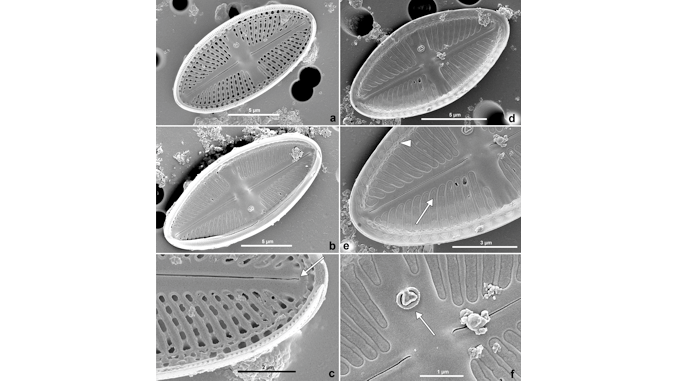 This study presents detailed descriptions of two new species of Luticola: L. nosybeana and L. madagascarensis, collected from mangrove roots on Nosy Be Island. Comparisons with the described congeners showed that the density of striae in Luticola nosybeana is higher than that in L. belawanensis and proximal raphe endings terminate as irregular, shallow grooves. Luticola madagascarensis differs from L. similis in the shape of proximal raphe endings, which are short and expanded in the latter, while continue with irregular, shallow, elongated L-shaped grooves in L. madagascarensis. Luticola nosybeana and L. madagascarensis can be distinguished under a light microscope by the shape of the central area (bow-tie shaped in L. madagascarensis and deltoid in L. nosybeana) and isolated pores (robust and well visible in L. madagascarensis, poorly discernible in L. nosybeana). 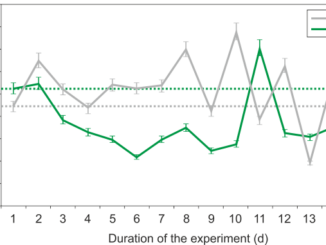 The two new species are unique in their habitat preferences: while all known congeners are freshwater, the new species inhabit estuarine mangroves.